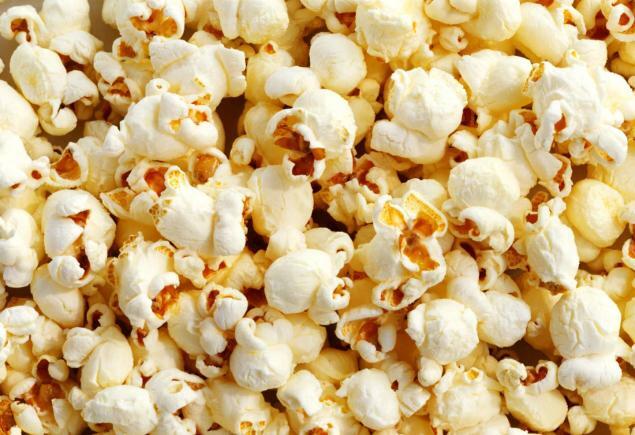 I know the rule at Unsalted Popcorn is to review the new films as soon as possible, and as soon after viewing as possible - but sometimes a film comes along that's worth breaking the rules for. In attempting to put my films of the year together I've been catching up on the few that slipped through the net but that I really, really wanted to watch. 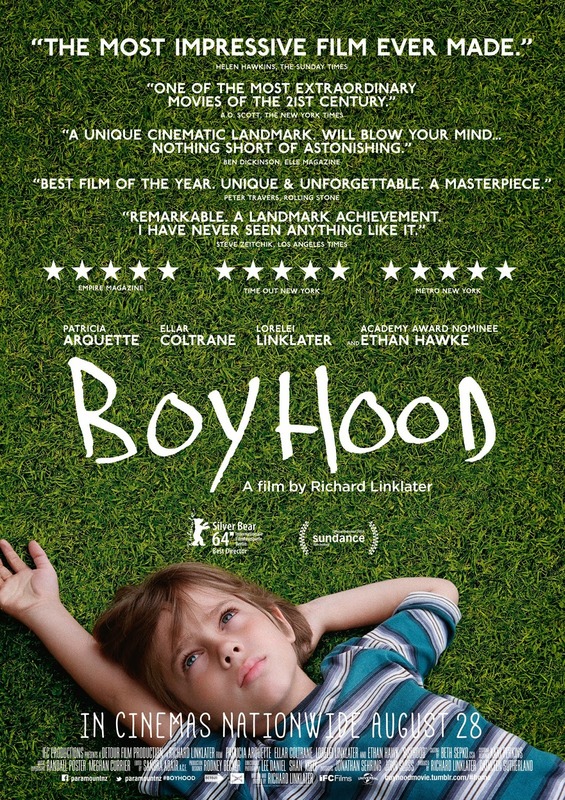 In the short list was Boyhood - described near-universally as simply breathtakingly brilliantly wonderful and accruing a score of 100 on Metacritic and 99 per cent on Rotten Tomatoes. Now, contrary git that I am, as a rule of thumb I tend to walk away from such films. Everyone telling me I MUST see it makes me look the other way. But something told me that Boyhood was actually one such film. For once, everyone else was probably right and I had to see it. Directed by Richard Linklater (he of the stunning Before Sunrise/Sunset/Midnight films), the idea was to watch people growing up. And by people, we're talking Mason (Ellar Coltrane), his sister Samantha (Linklater's real actual daughter Lorelei), mum (Patricia Arquette) and dad (Ethan Hawke). The film was put together over a 12-year period, with filming taking place every year as lives went on, marriages crumbled, step-dads came and went, schools were changed etc and so on. Granted, on paper, this sounds like a great idea. In the same way waterproof phones that mean you can play Candy Crush in the shower sounds like a great idea. But the reality is something else. For a start, people don't really change that much year on year - so you need some clever device to labour the point that this is now another year. Not for Linklater the clumsy, old-fashioned, on-screen captions. Oh no. Far better to pointedly stare at some cultural reference, or shoe-horn in some clumsy dialogue to show where we're at in the film (you bought the house cheap because of a foreclosure you say?). Essentially what we get are a series of close-ups of the latest gadgets, games consoles, mobile phones etc to show the passing of time. And Linklater actually has to make such a point of staring at an iPod docking station, or an iPhone FaceTime chat, that the scene gets derailed. And this happens every bloody year. And then there's Mr Coltrane. Granted, asking a child to hold a film together on his own is a tad tricky, so you can forgive the early years where he's almost invisible while life's dramas play out around him. But as he gets older, his lack of charisma doesn't change. If anything it gets worse. This isn't helped by the fact that NOTHING IS HAPPENING TO HIM. And I can't stress that enough. OK, sure, he moves home, survives an alcoholic step-father (something which could have been a dramatic high-point in the film but is treated with the same detachment as everything else), meets girls, discovers beer and so on - but that's just normal life. And, in essence, normal life is quite dull. We even get treated to Mason getting all "deep" and "philosophical" at a party during his teenage years. Have you ever listened to teenagers when they talk like this? It's something that should be allowed to happen quietly, without adult observation. That way they don't get reminded about it and we don't have to put up with it. There's also the brilliant scene when Mason and friends go "camping". By that we mean break into a house under construction to drink and spend the night. Hookers have been ordered too, we're told, but this would be too exciting so we don't get to see if this was a lie or not. But what this scene shows is just how badly the film has been written, how clunky and un-lifelike the dialogue is. What would have worked is if you'd just got the gang to improvise. Instead, it's scripted and directed and plays out like a bad school play. And that's the film in a nutshell. It's a collection of vignettes, loosely linked by having the same annoyingly tedious kid at the centre of it all, with no actual story to tie the whole thing together. It's exactly the same as Mr Turner, only Mr Turner had the decency to be well filmed, well acted and funny. Linklater has garnered praise over the years for his experimental style, for his ground-breaking approach to film-making (yes, I know he made School Of Rock, shush). But with the Before trilogy, for example, he had characters you loved, he was telling a story, and you weren't trapped for 12 sodding years. I understand critics go delirious over this, the idea was a great one. But it's no crime to admit it hasn't worked. The point was made by Mark Kermode that Boyhood is as long as Transformers (and a Hobbit film), but it didn't feel like it. He's right. It felt longer. Transformers 4 was terrible, but at least it was so bad it made you laugh. Boyhood just makes you want to scream. And it opens with a sodding Coldplay song.